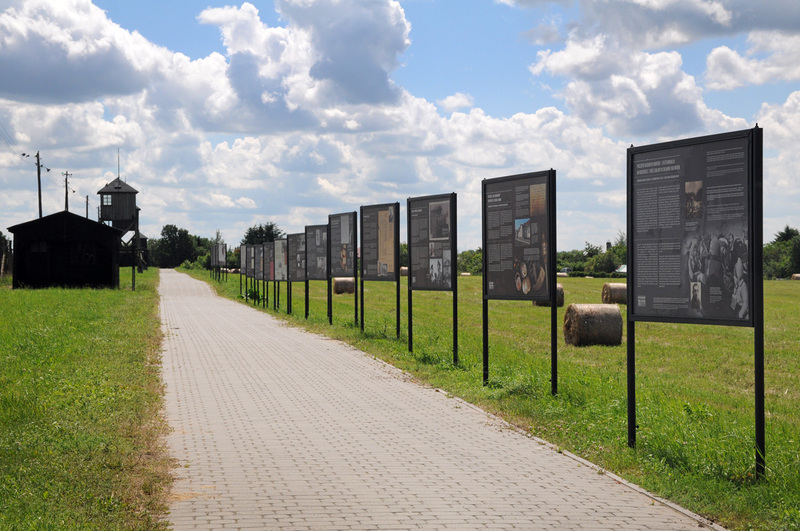 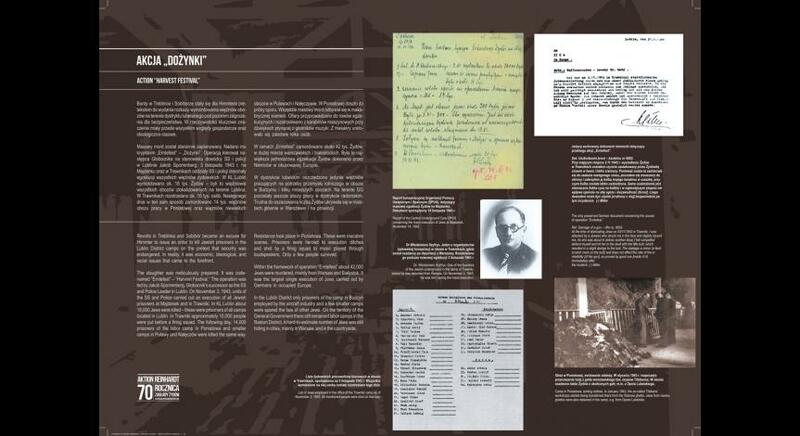 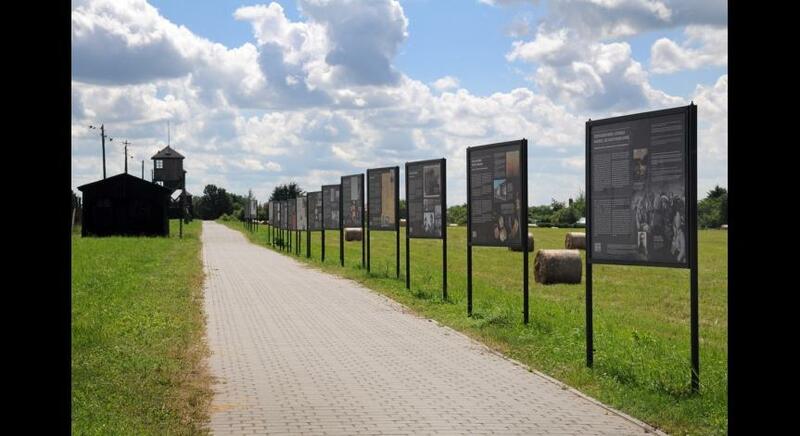 The texts present the genesis and the course of “Aktion Reinhardt” – starting from the first deportations from Lublin and Lwow to the death camp in Bełżec through to “Aktion Erntefest” which took place at Majdanek and in a few labor camps in the Lublin Region. 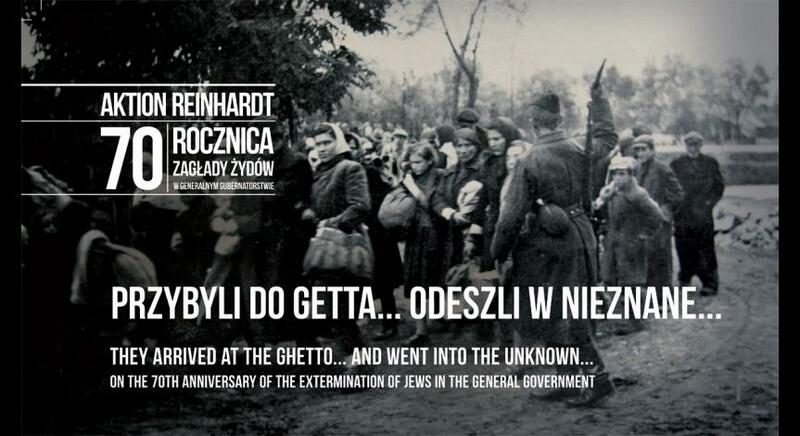 On July 22, 1942, the Germans started the so-called Grossaktion Warsaw. 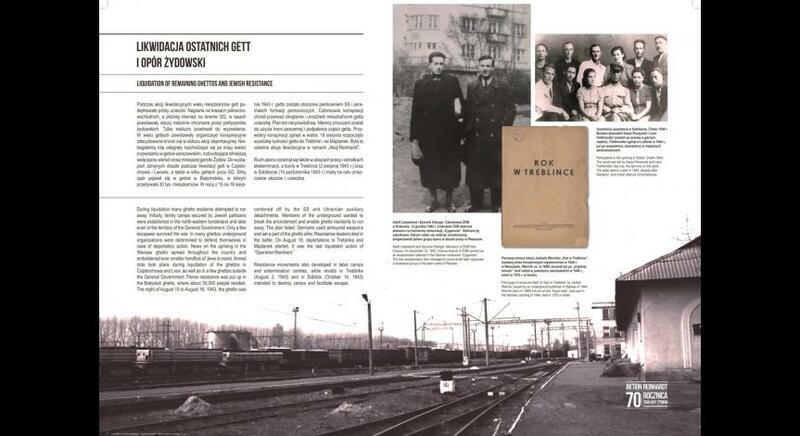 Transports with Jews deported from Warsaw were sent to the Treblinka death camp. 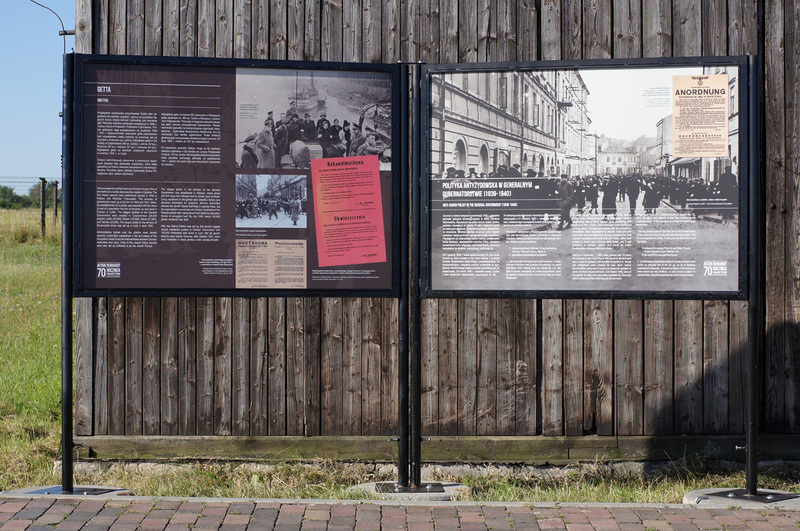 Simultaneously, Jews from the Kraków and Galicia districts were resettledto the Bełżec death camp. 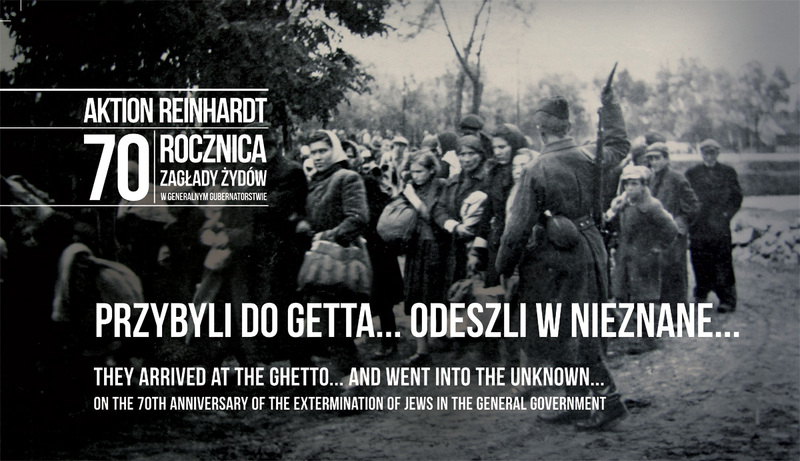 At that moment, “Aktion Reinhardt” which started in March was in its most bloody stage. 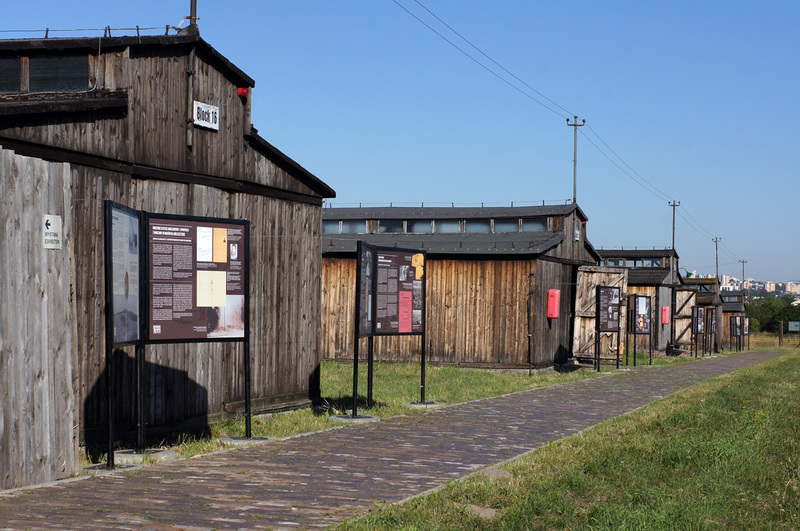 In August 1942, the number of deportations soared. 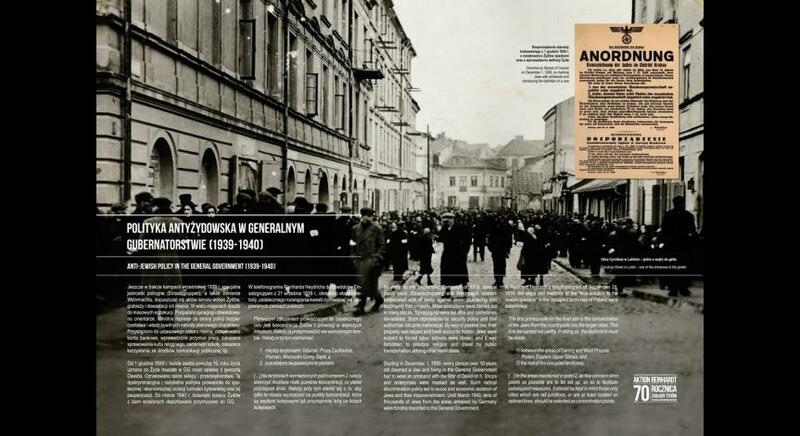 On August 10, the Grossaktion started in Lwow – the second city in the General Government, after Warsaw, with the largest Jewish population. 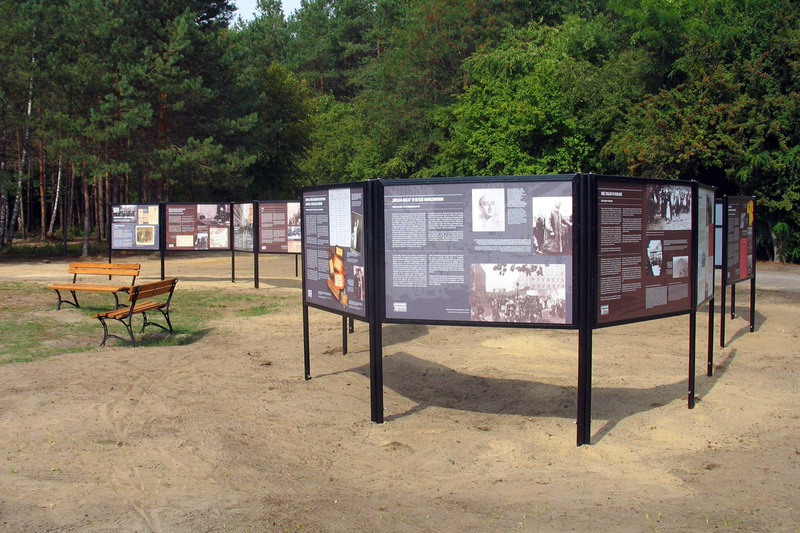 Between August 24-28, about 16,000 people, i.e. 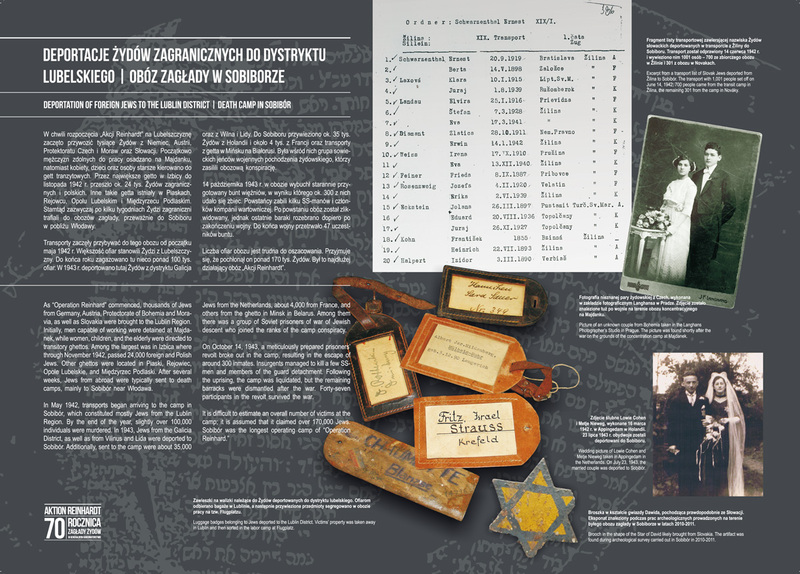 almost all Jews from Nowy Sącz and surrounding areas, were transported to Bełżec by the Nazis. 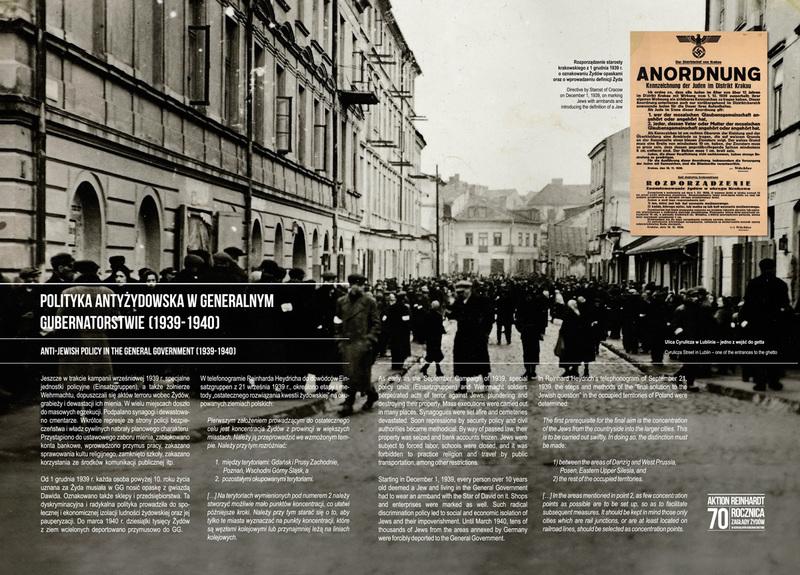 The mass deportations and executions took place almost on the entire territory of the General Government. 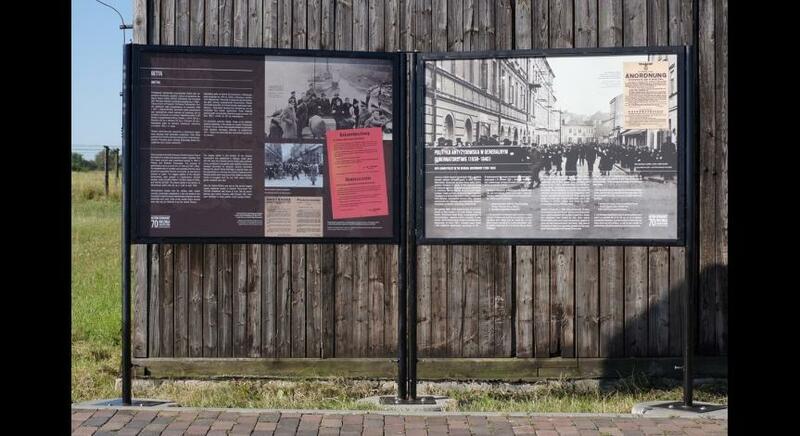 Apart from that, Germans plundered also Jewish property. 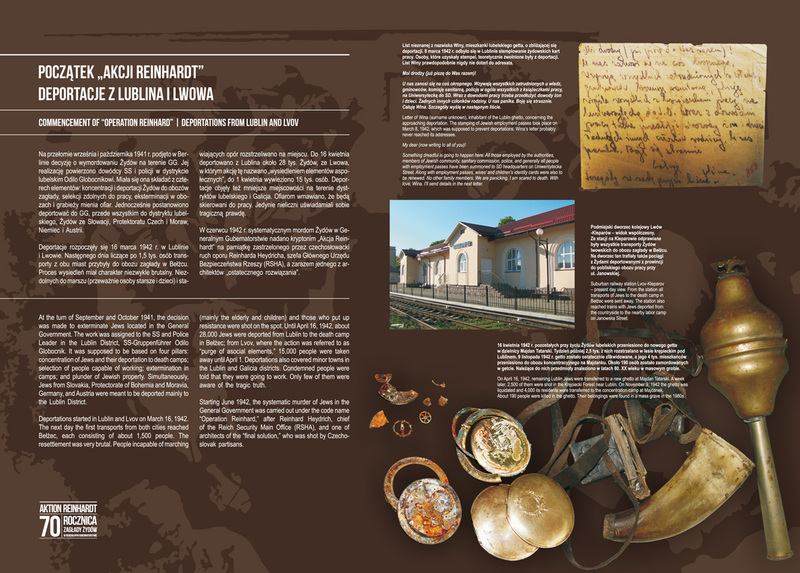 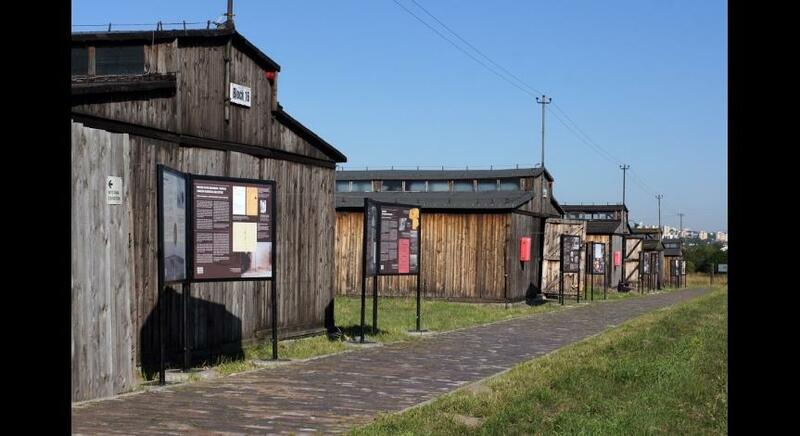 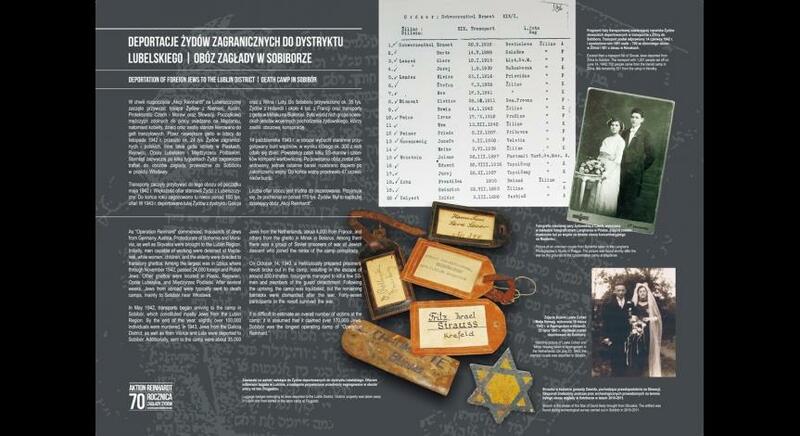 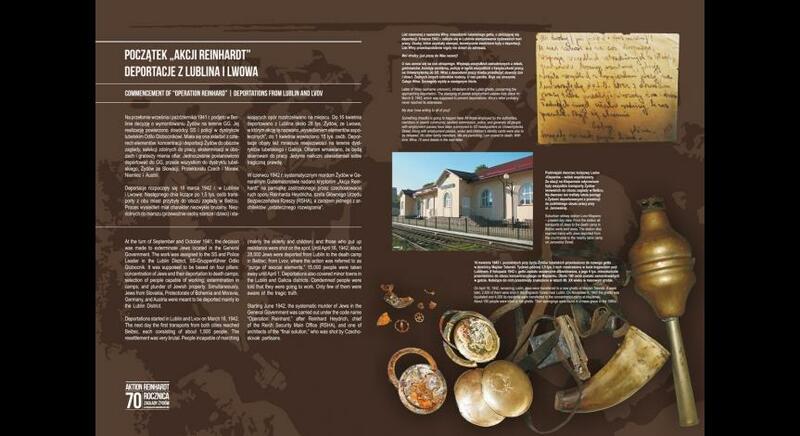 The Jewish belongings – taken mostly from the victims of death camps – were transported to Lublin and segregated in the camps at Flugplatz (Wrońska Street), at Sportplatz (Ogródkowa Street), in money and valuables storehouses (Chmielna Street) and at the Majdanek concentration camp. 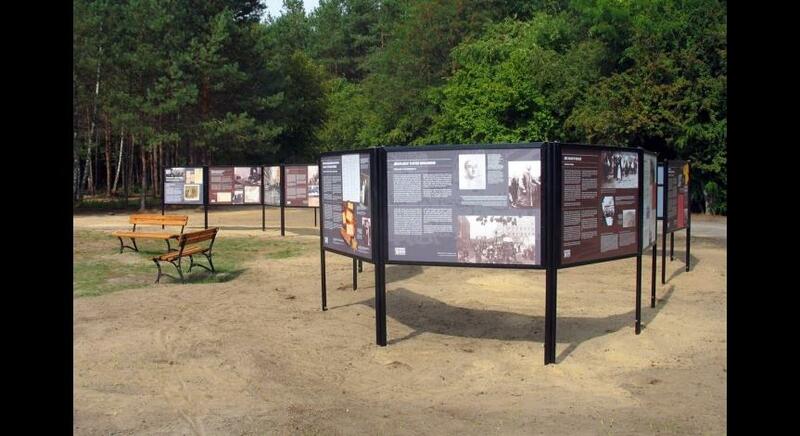 German authorities also robbed individual villages from which Jewish people were resettled. 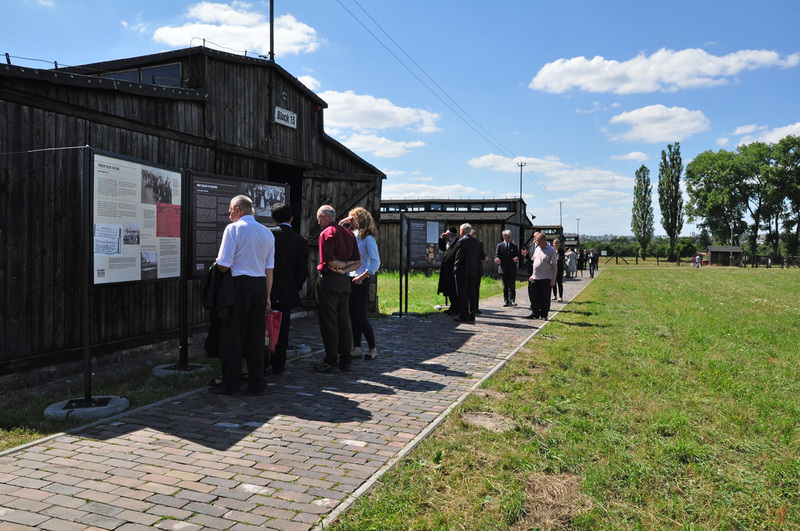 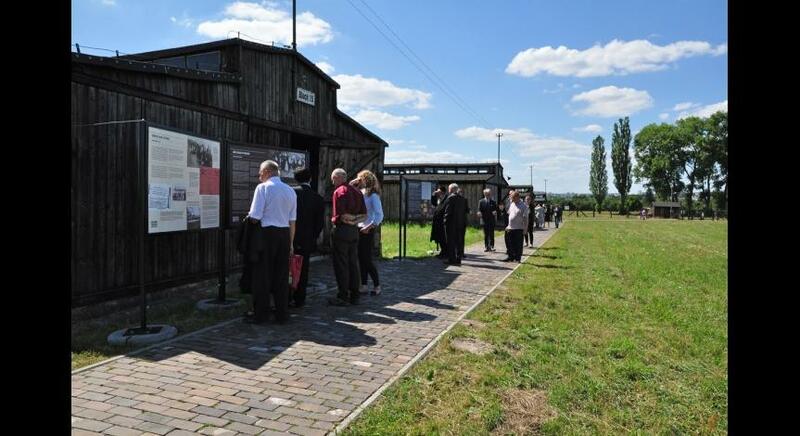 The exhibition “They Arrived at the Ghetto... And Went into the Unknown...” was presented for the first time in July 2012, to mark the 70th anniversary of ”Aktion Reinhardt.” In 2015, the English-German version of the exhibition was presented in Volkshochschule Bielefeld. 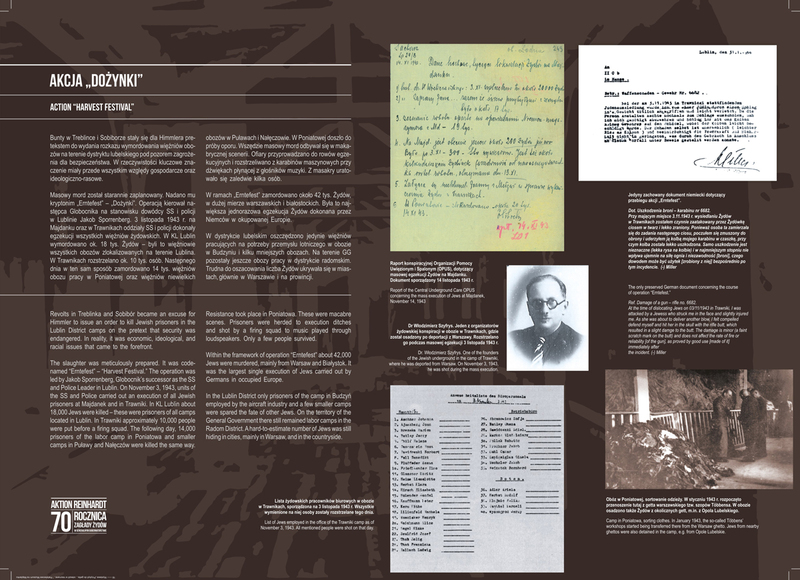 Two exhibition catalogues (Polish-English and German-French) were published. 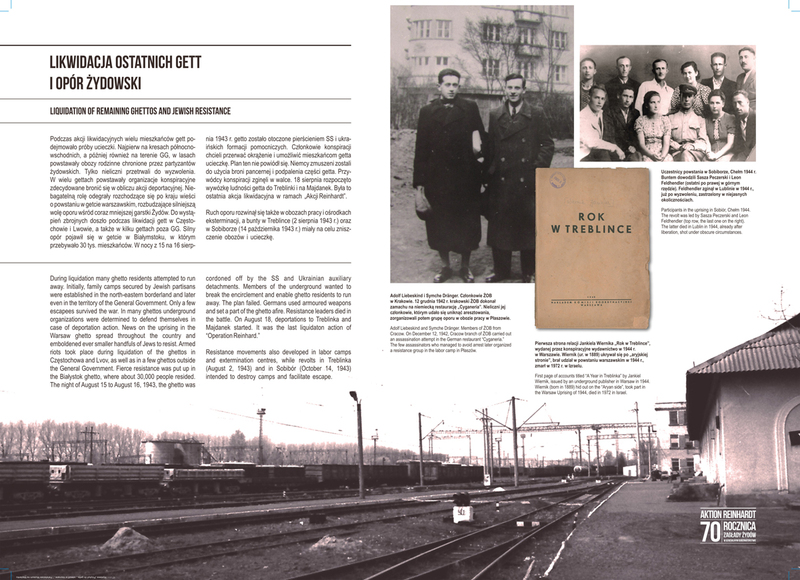 Exhibition catalogue "They Arrived at the Ghetto... And Went into the Unknown..."